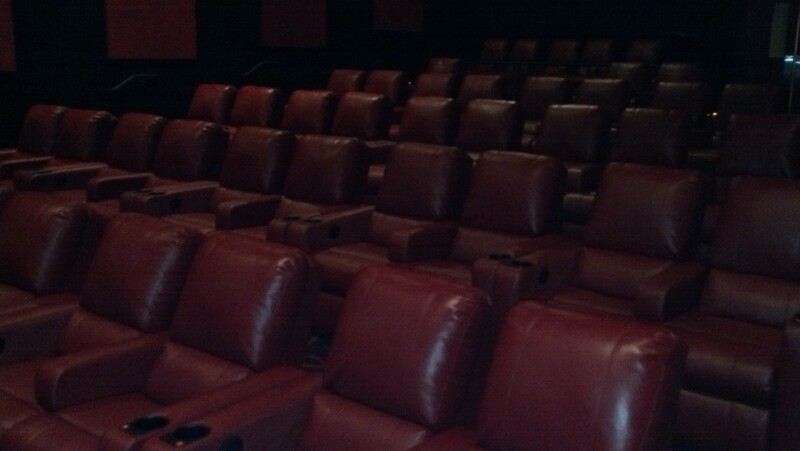 Customer Treats: AMC Transforms Movie-Watching Experience with Power Recliners – StratGo Marketing. Plug-in marketing department services. As a customer, it really is fun when your expectations are completely blown away. That’s what happened when my Dad and I went to the movies last week. You see, the Military Capital of the American Revolution has a new, state-of-the-art movie theatre complex. In early May, AMC Theatres completed a total transformation of its 40,000 square foot Headquarters Plaza 10 in Morristown, NJ. Anyone who remembers the theatre under previous ownership will be pleasantly shocked. However, it seems to be mostly a secret. More on that in a moment. The entire complex has been given a total makeover: new theatres, concession areas, bathrooms and lobby. 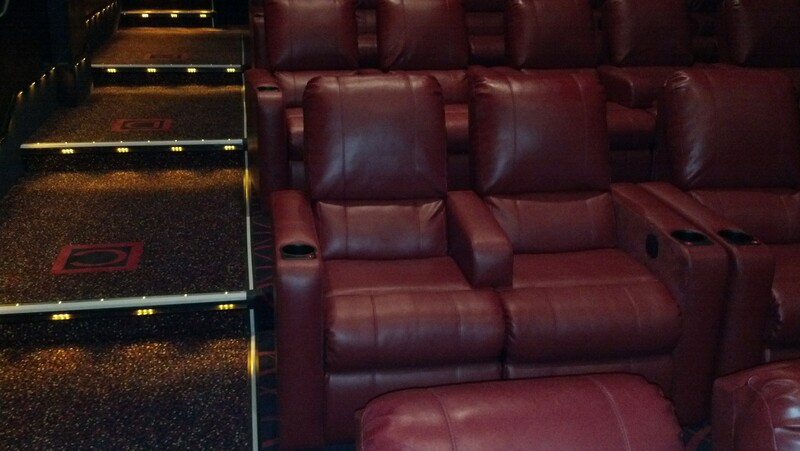 The transformative highlight is the installation of comfortable, power recliner seats, in AMC red of course. AMC Headquarters Plaza 10 – Morristown, NJ. Photo: Harvey Chimoff. The recliners are configured in what AMC calls “platform seating,” in which each row is successively higher to facilitate clear sight lines (less angled than stadium seating). The technical upgrades in Morristown include new digital projection systems, 3D capabilities, screens, and a 7:1 speaker sound system. AMC’s new movie-watching features are designed, in part, to address an evolving, competitive landscape that includes the proliferation of deluxe home theatres. AMC “mapped out the theatres to get the optimal sight and sound” for guests, explained Saunders. We “need to make people comfortable to go to the theatre,” he added. The ten Morristown theatres range in size from 54 to 155 seats, with the largest also having a balcony. As you might imagine, installing the comforts of home comes at a price: reduced seat capacity. In fact, the total number of seats was lowered 63% from 2,300 to 844 to create enhanced customer enjoyment. Take that, airlines. And no, pricing has not gone through the roof. The max price for adult seats is $11.00, with various discounts for seniors, children and time of day. Last summer, there was doubt whether Morristown would retain a movie theatre at all. The theatre closed in June 2013 after Bow Tie Cinemas acquired the location as part of its purchase of Clearview Cinemas, which was owned by Cablevision. AMC reopened Headquarters Plaza in November 2013, but in its old, run-down condition. Construction occurred in a fast, 12-week period from early February through early May. For those coming hungry, dining options have been expanded for hot foods including mozzarella sticks, chicken tenders and sliders, french fries and pizza. You might think that would create hygiene headaches, but Saunders explained that the reduced seating actually makes cleaning easier. To wash all the food down, AMC has added Coca-Cola Freestyle beverage machines to provide 100+ drink choices to customers. Other new features in Morristown include a reserved seating option during busy weekends, which can be accessed via Fandango and AMC’s own website. During those times, on-site purchasers will select their seats via a small touch-screen monitor at the purchase counter or via nearby ticket purchase kiosks. That may take a customer break-in period and/or pose ticket speed-of-purchase challenges. Saunders is confident the additional options will add to and not detract from the customer experience. He said reserved seating testing has only recently begun and expects it to proceed well. 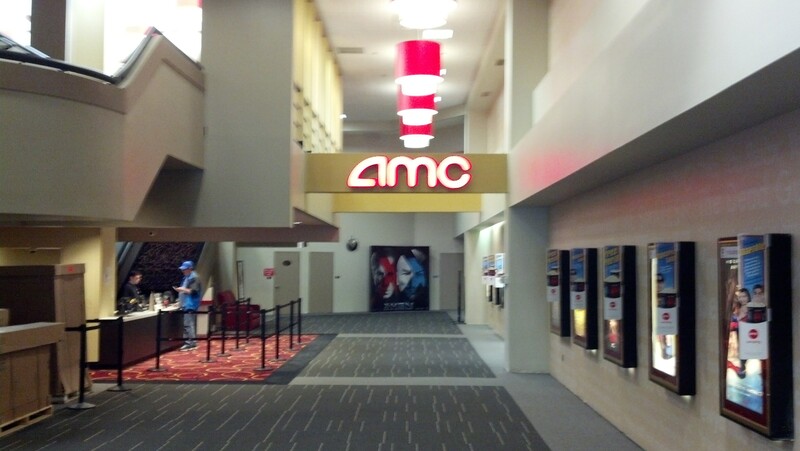 AMC has taken a soft-launch approach with the upgraded theatre. It’s too soft in my opinion. A sign touting the new seating experience was hung during construction (it’s still up) and a pair of actual recliners are on display in the lobby. Still, it’s not 100% clear what’s going on, and at best, that only addresses traffic walking through the overall plaza complex. So far, in the first month, marketing to create awareness and knowledge of the new theatres has been limited to “word-of-mouth.” It’s been a slow build. Saunders acknowledged that many guests have remarked they didn’t know about the massive theatre upgrade. I can attest, as my father and I had no idea what to expect. We just figured we’d find out. Perhaps Memorial Day weekend visitors will help generate buzz in the community. But with such a great story, why leave it to chance? If you upgrade, they will come. 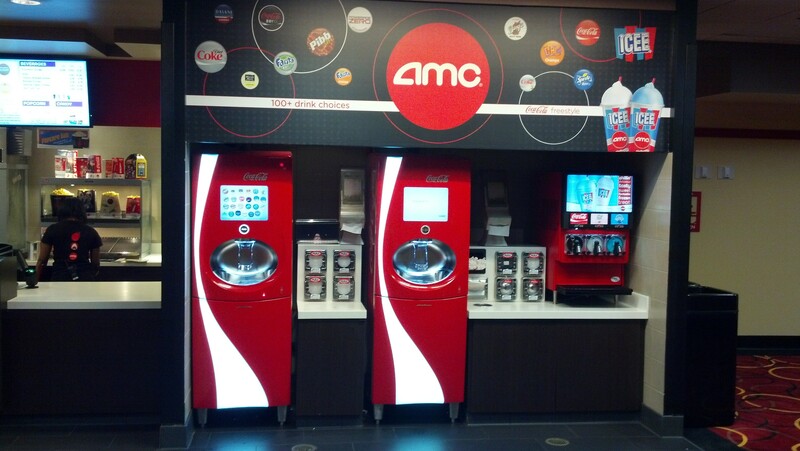 AMC Theatres is making customer experience the keystone of its go-to-market strategy. The entertainment company is investing $825 million, including power recliner seating, to dramatically enhance customer comfort and the total movie-going experience.